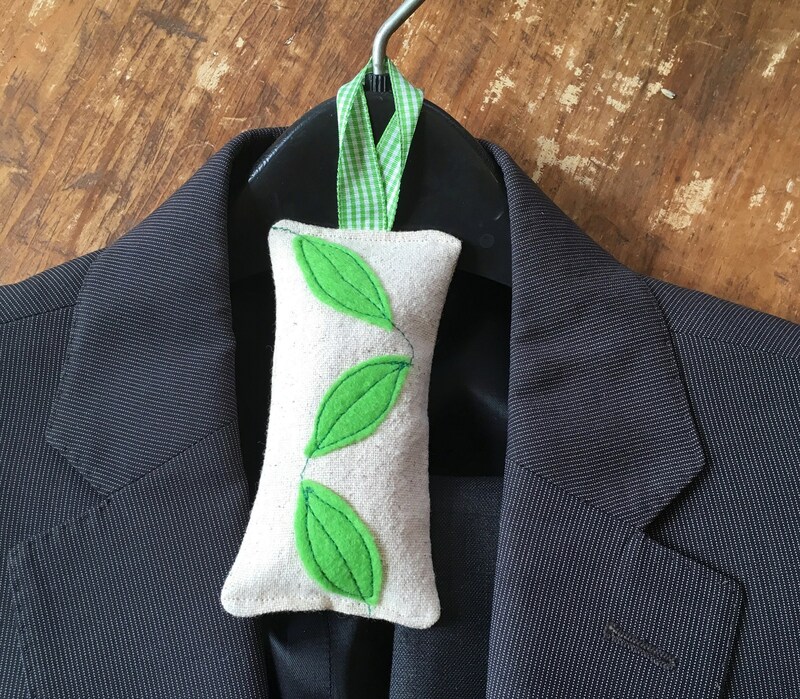 Use Natural Moth & Insect Repellent Sachets to protect your stored clothing or for your woolens that hang in your closet. 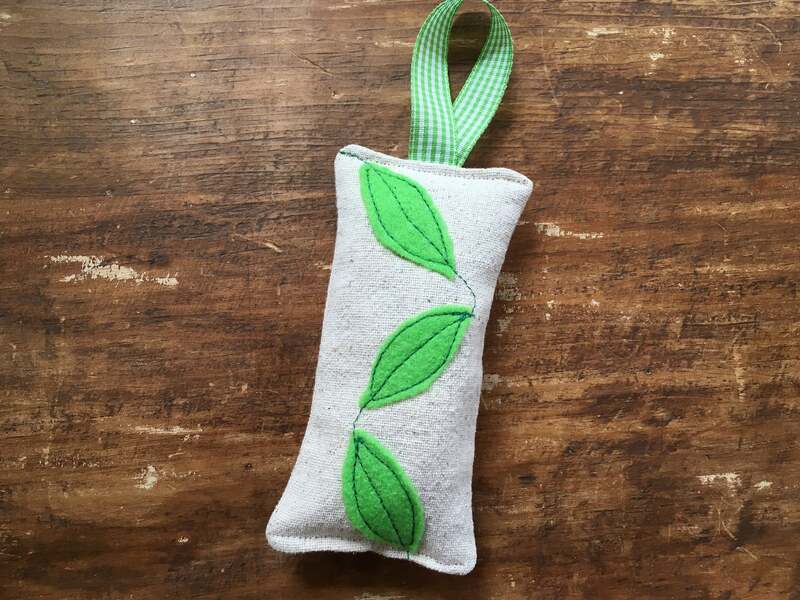 These wonderfully scented insect deterrent sachets are filled with cedar chips, lavender, cinnamon, thyme, rosemary, spearmint leaves and cloves. Not an overpowering scent to anyone but the bugs! Perfect for storing baby items, woolens, clothing storage where a natural repellent is preferred over mothballs. 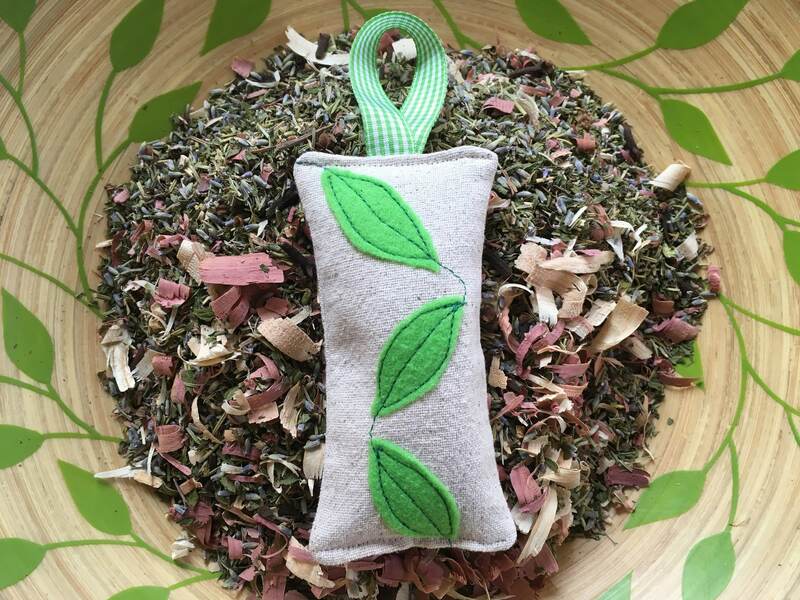 These sachets would make a wonderful gift for a baby shower for the new mom to use when its time to pack all of those beautiful baby sweaters and keepsake gifts away. These are a great, natural moth ball alternative! 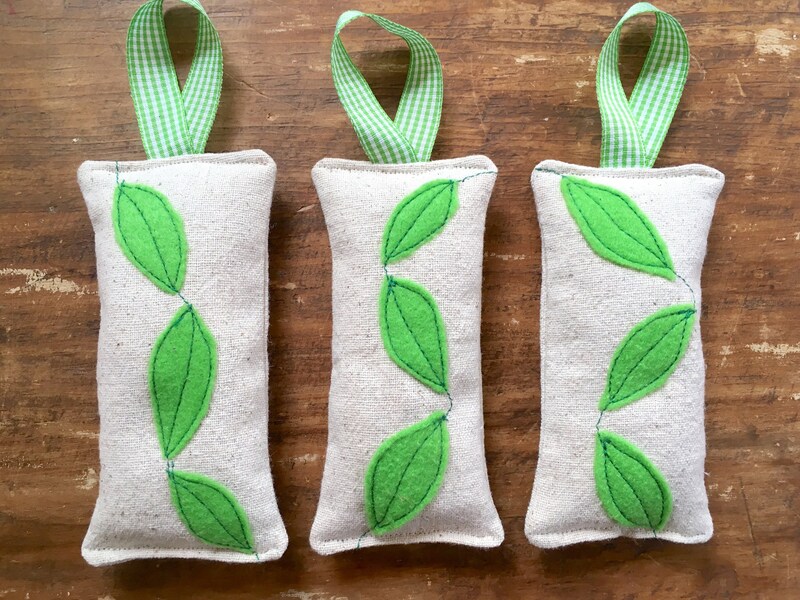 3 Sachets in a package, finished size is 2.25 inches x 5 inches, decorated with pretty green felt leaves and green gingham ribbon for hanging on a hanger. Buy more for storage use and to hang in the closet or for gifting! Order of 3 will come wrapped in cello packaging to keep scent fresh, orders of 6 or 12 come packed in a pretty box with ingredients list and use recommendations.